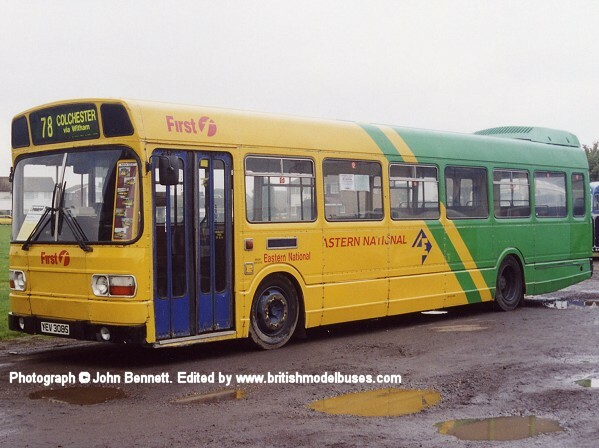 This photograph shows fleet number 105 NFN78M and was taken on 2nd July 1994 as it stood in the yard of the Barnsley depot. 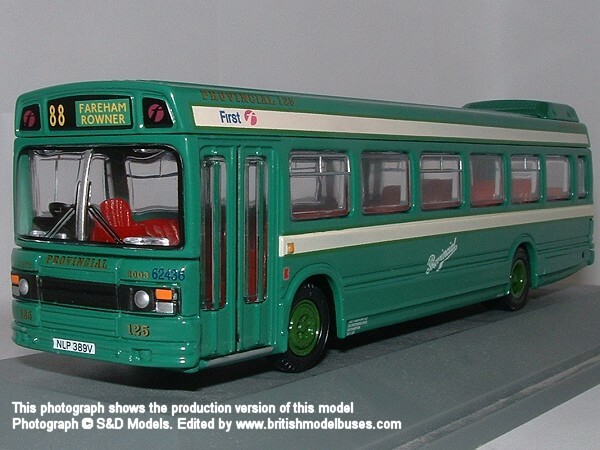 This is the actual vehicle represented at a different time in her life by EFE model 17312 in East Kent livery. 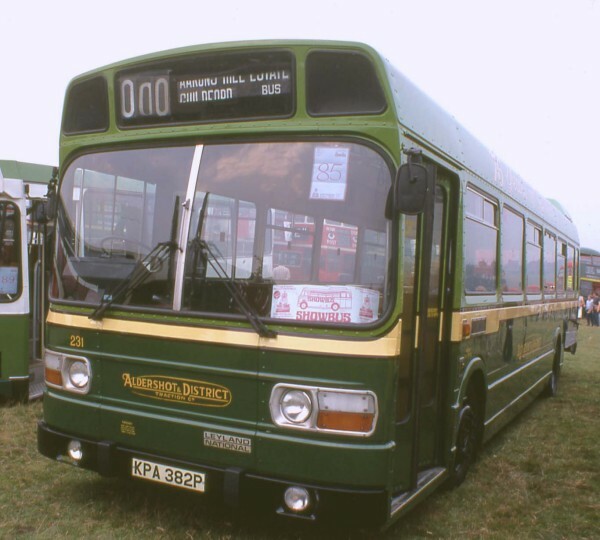 This photograph was taken at Brooklands Runway during the Cobham Rally, 9th April 2000 and shows fleet number 100 (CPO100W). 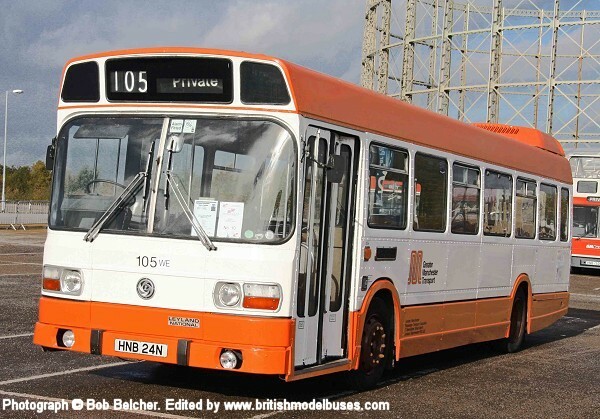 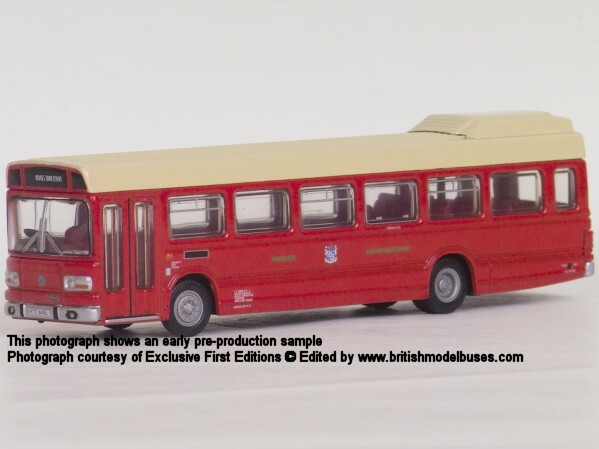 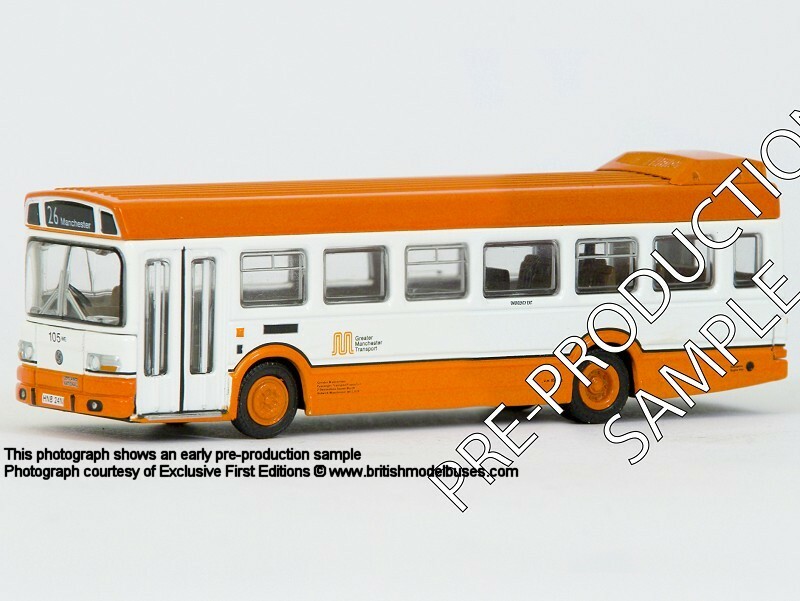 This is a sister vehicle to fleet number 98 (CPO98W) as represented by EFE model 14702. 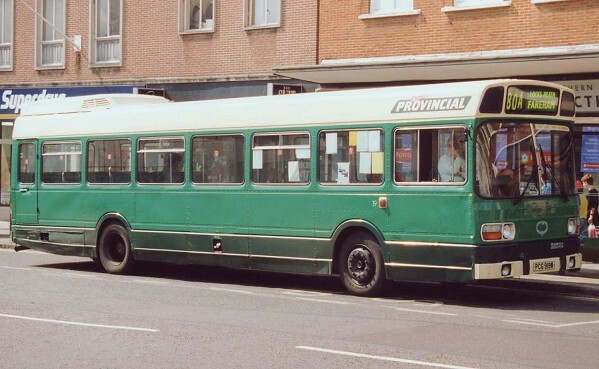 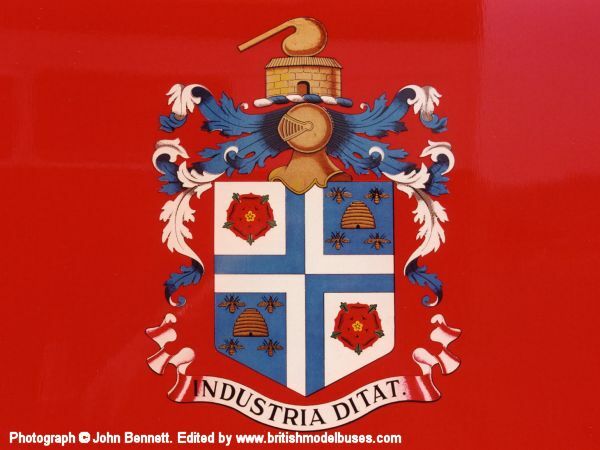 This photograph shows fleet number 302 (HOR414L) in First Provincial livery. 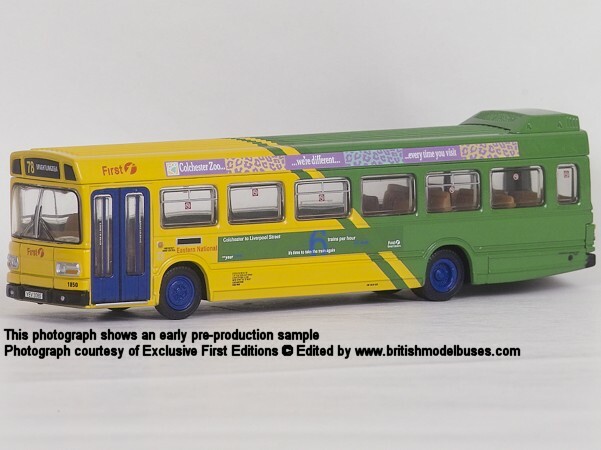 This is the actual vehicle represented by EFE models 15105 and 15105A. 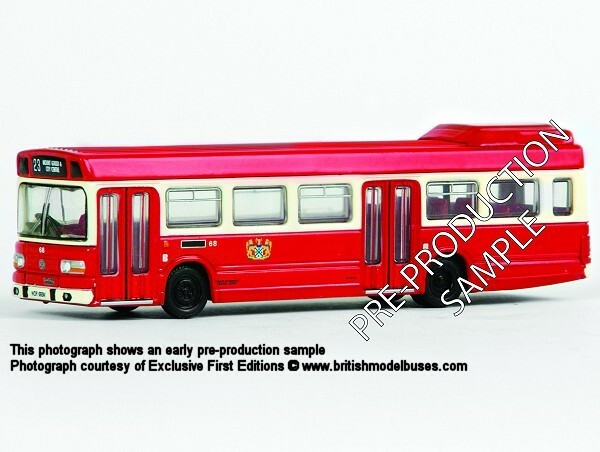 However the models represent the vehicle in Provincial livery. 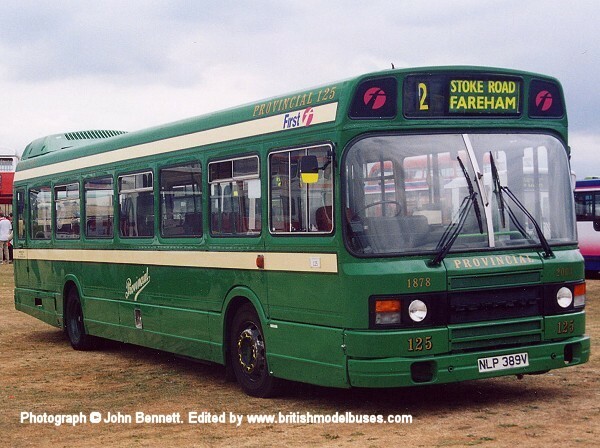 This photograph shows fleet number 432 (NLP389V) in the livery celebrating "125 years of Provincial" and was taken at Stokes Bay, Alverstoke, during the Gosport Rally on 25th August 2003. 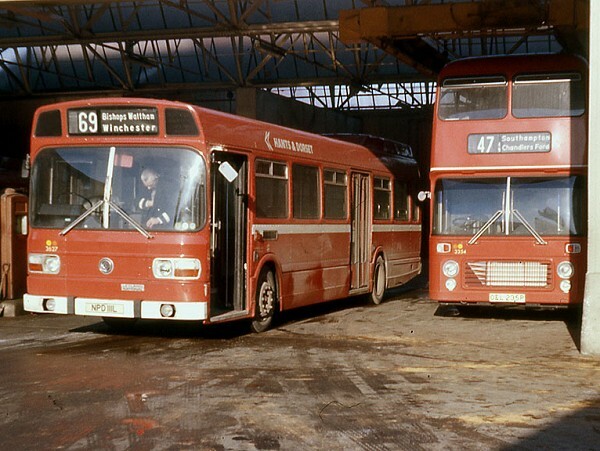 This photograph was taken at Southampton's old city centre bus station on 13th March 1976. 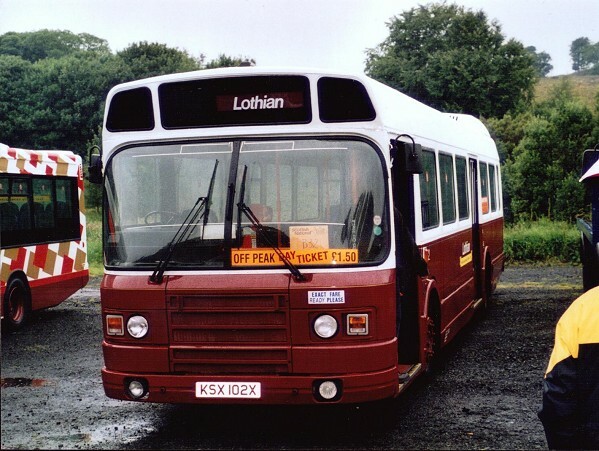 It shows fleet number 3641 (GLJ677N). 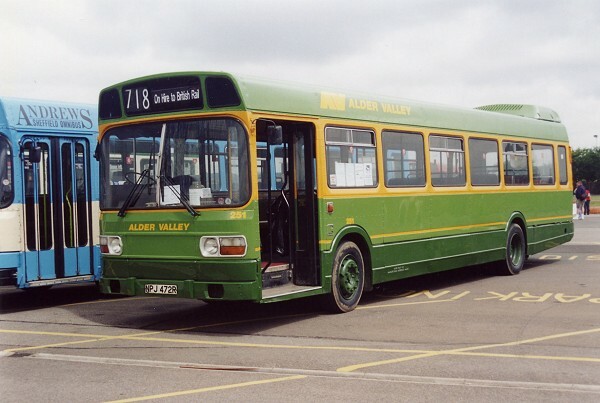 EFE represented this vehicle later in it's life as Wilts and Dorset fleet number 3641 (EFE model number 17204). 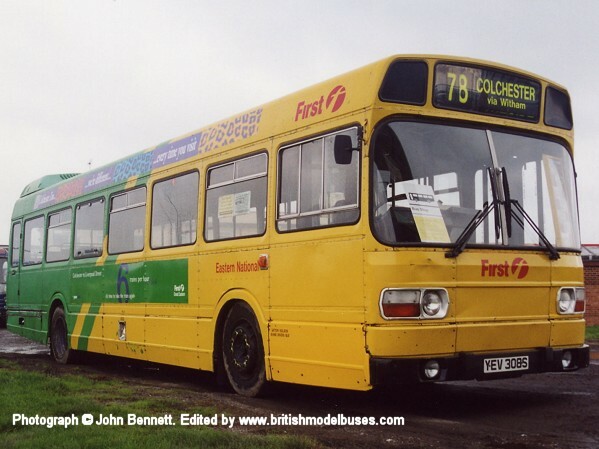 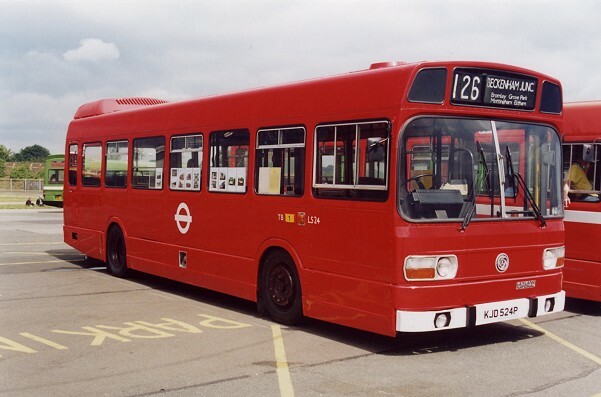 This photograph was taken at Cobham 2004 and shows GLJ677N now restored and in preservation. 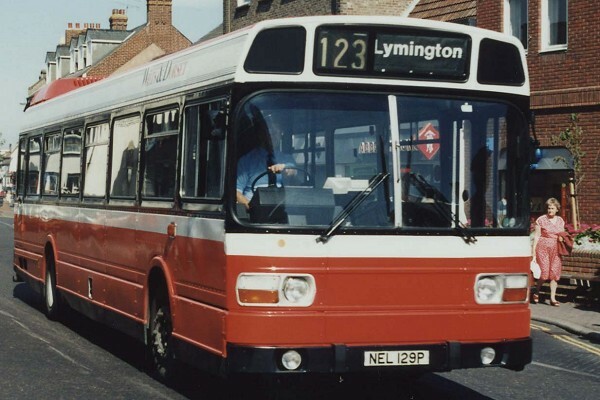 This photograph contrasts with the above photograph showing her in service in 1976. 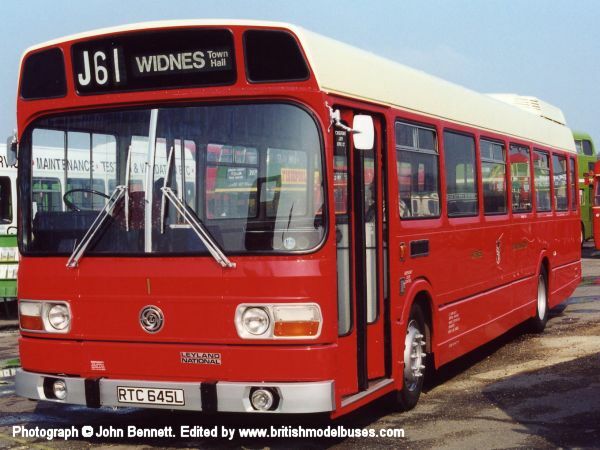 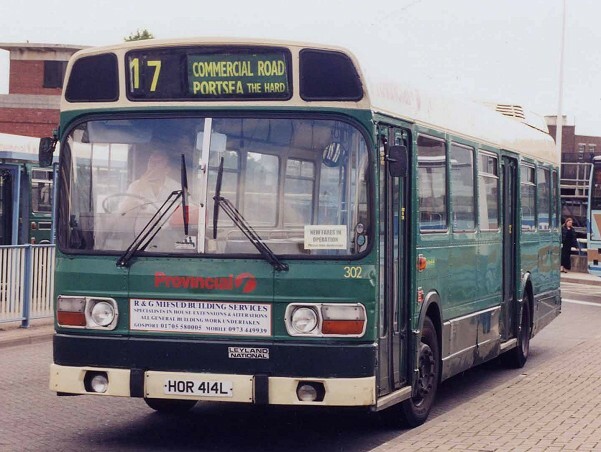 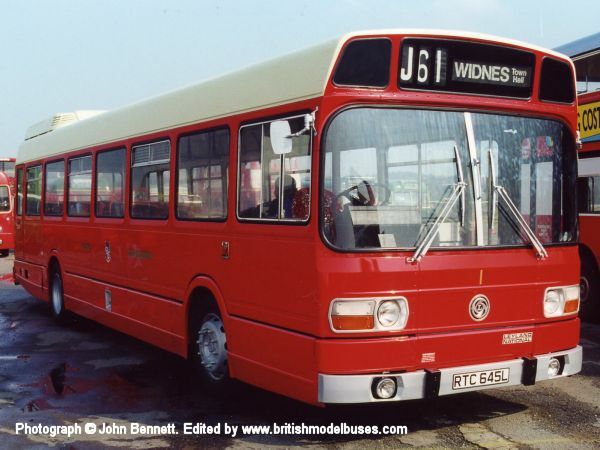 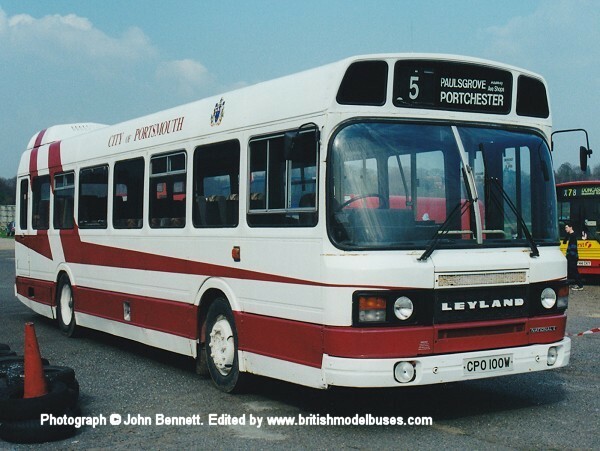 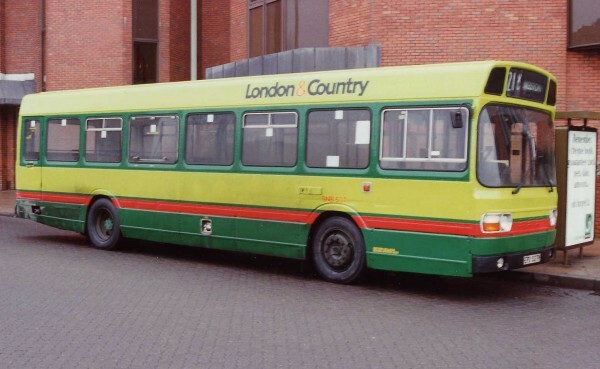 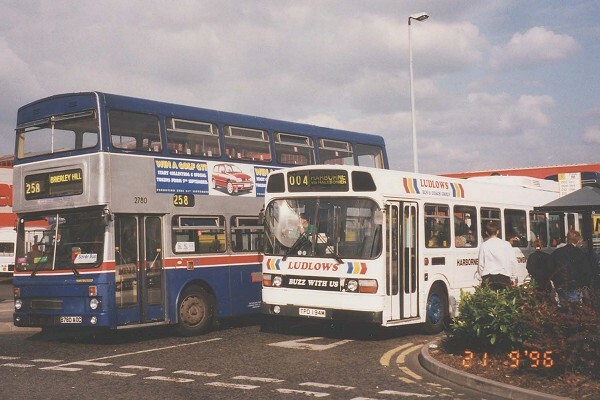 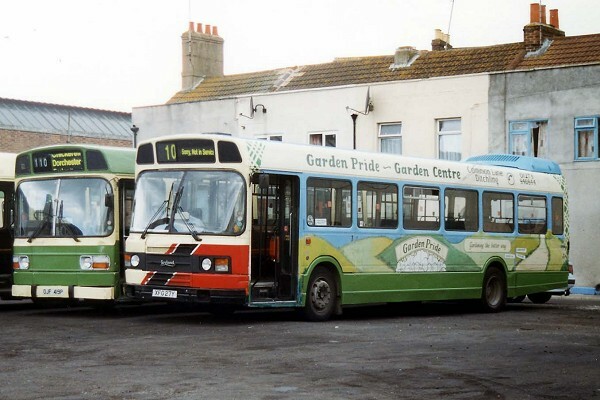 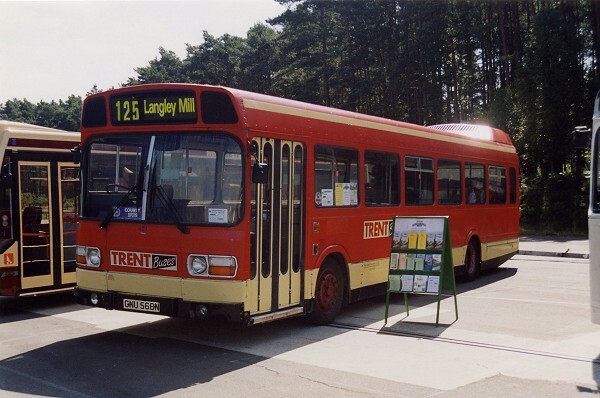 This photograph taken at Showbus 1999 shows restored ex-LT Leyland National LS98 (OJD898R). 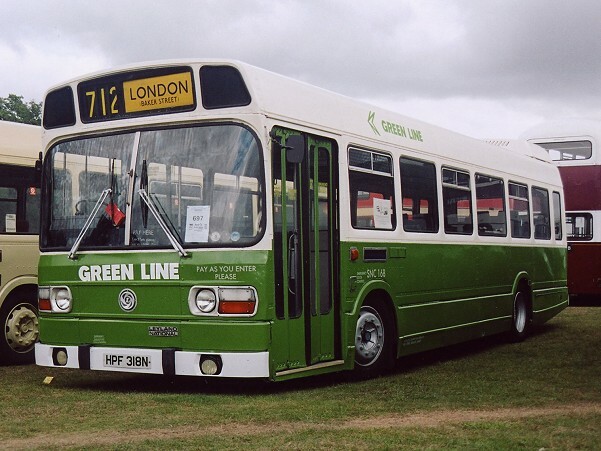 EFE represented LS47 (KJD547P) in this livery as model 16601. 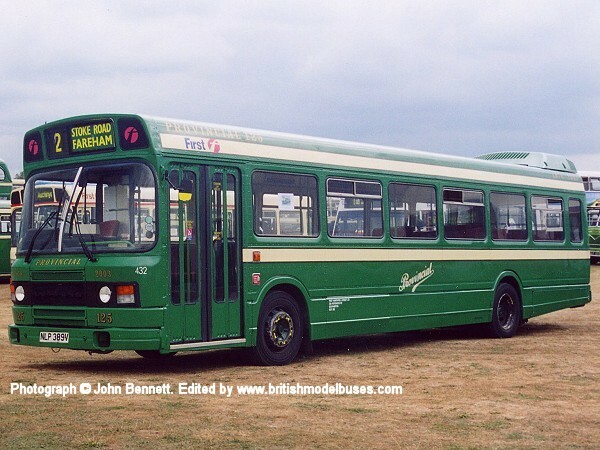 This photograph taken at North Weald on 21 July 2002 shows fleet number LS24 (KJD524P) this is the actual vehicle as represented by EFE model 16606. 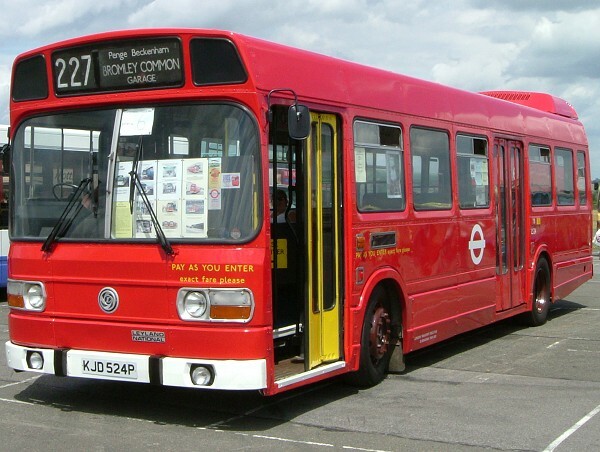 This photograph taken at North Weald on 27 June 2004 shows the nearside view of the above vehicle. 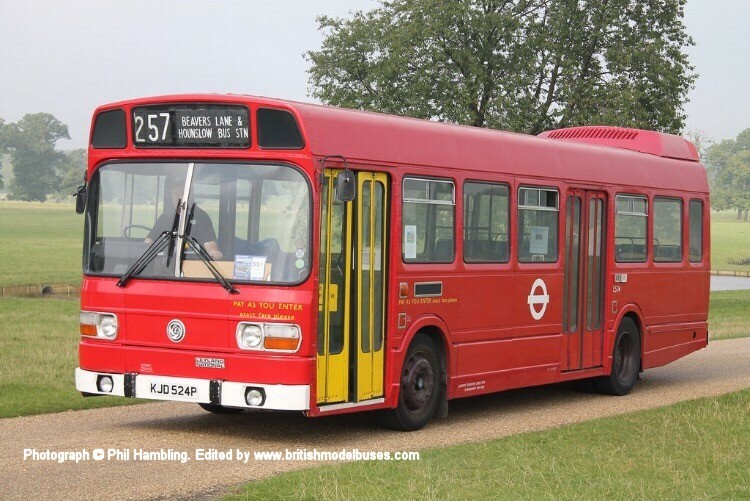 This photograph taken at Woburn Abbey in September 2015 and shows the nearside view of the above vehicle. 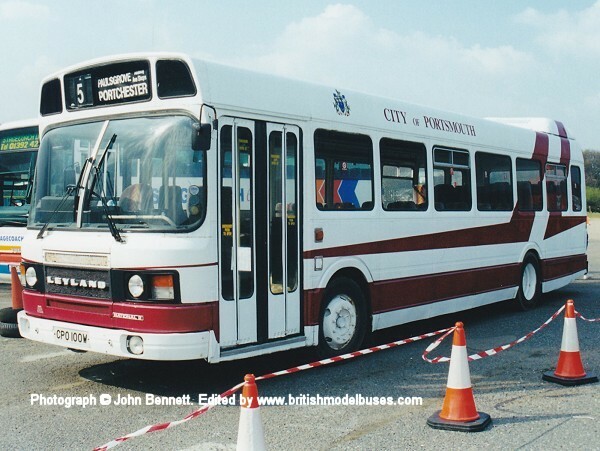 This photograph was taken at Brooklands during the Cobham Bus Museum Open Day on 6 April 2003. 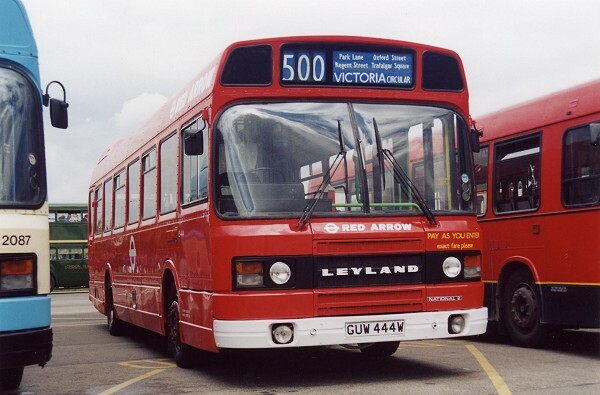 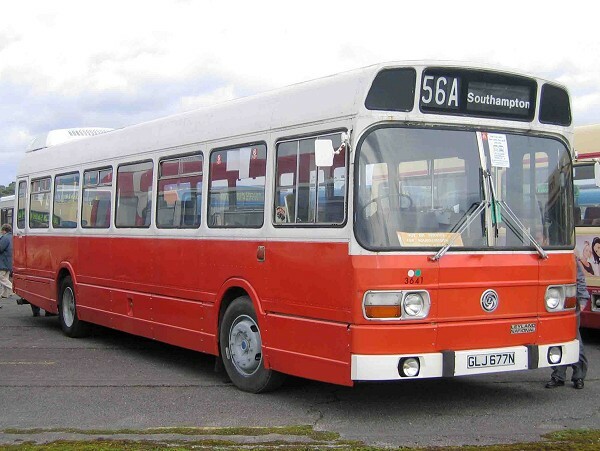 It shows fleet number 3556 (SKR556R). 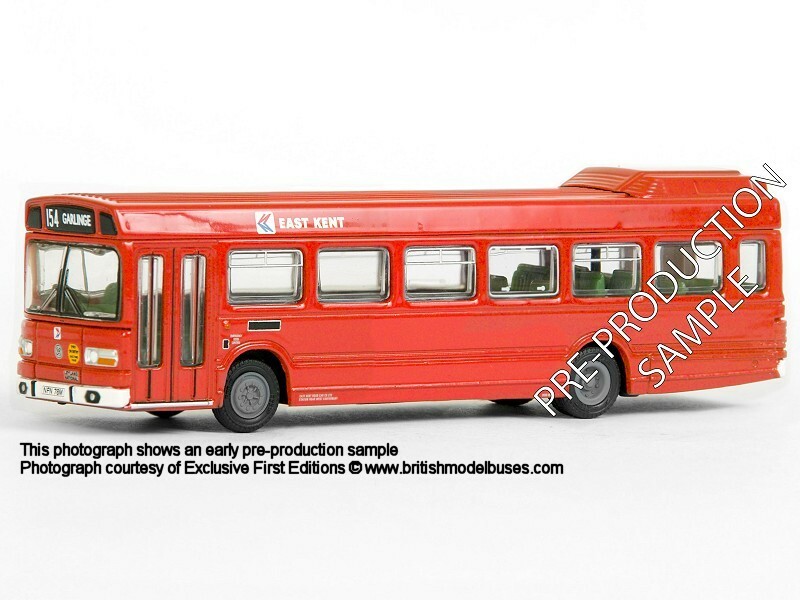 This is the actual vehicle represented by EFE model 17205. 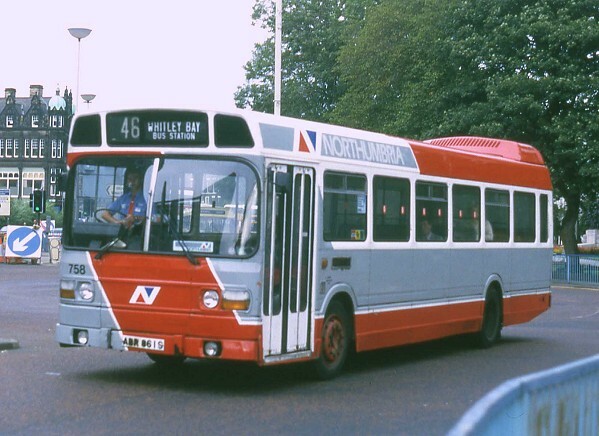 This photograph was taken in Newcastle in September 1987 and shows fleet number 758 (ABR361S). 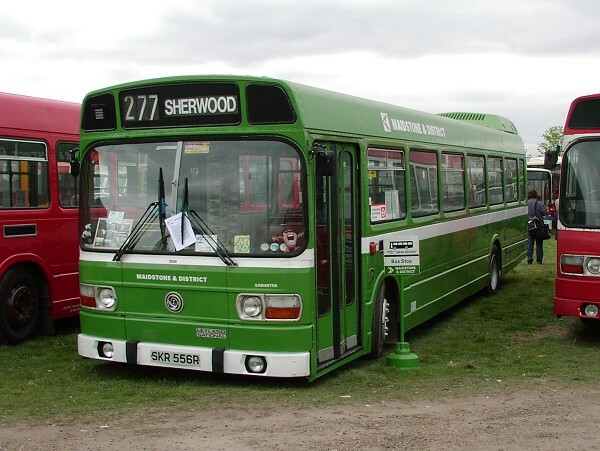 This vehicle is similar to fleet number 756 (SGR129R) as represented by EFE model 17214. 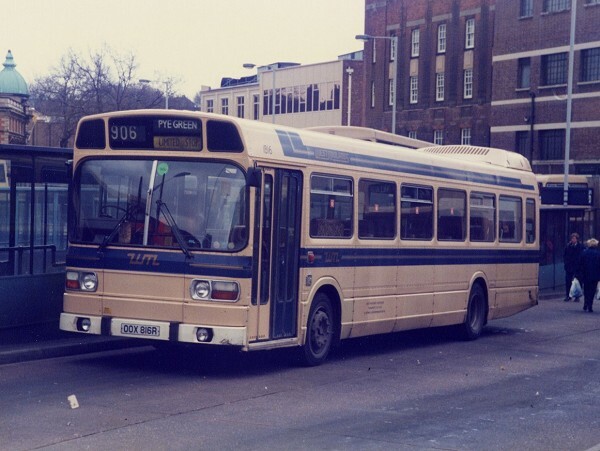 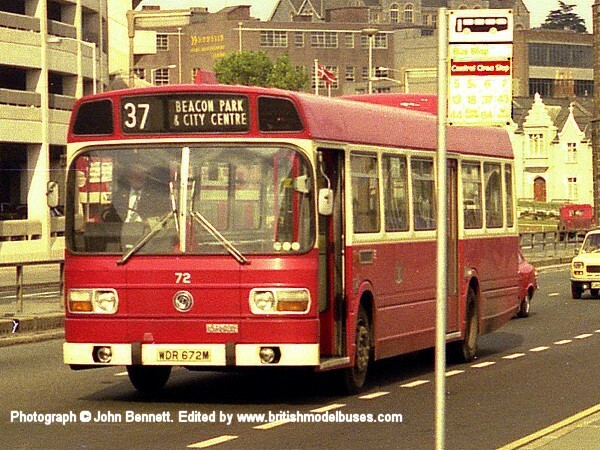 This photograph was taken in Exeter Street, Plymouth (above Breton Side Bus Station), on Monday 13th September 1976 and shows fleet number 72 (WDR672M). 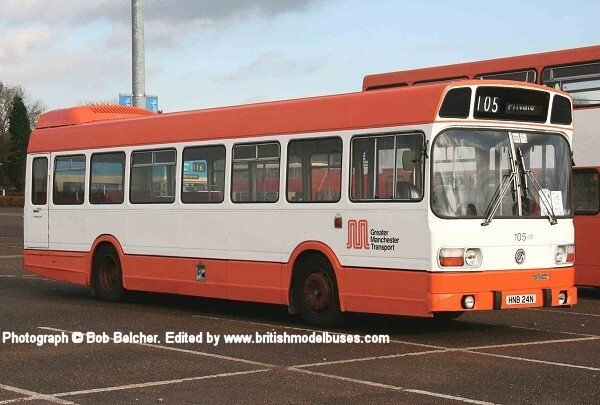 This vehicle is a sister vehicle to fleet number 68 (WDR668M) as represented by EFE model 15109. 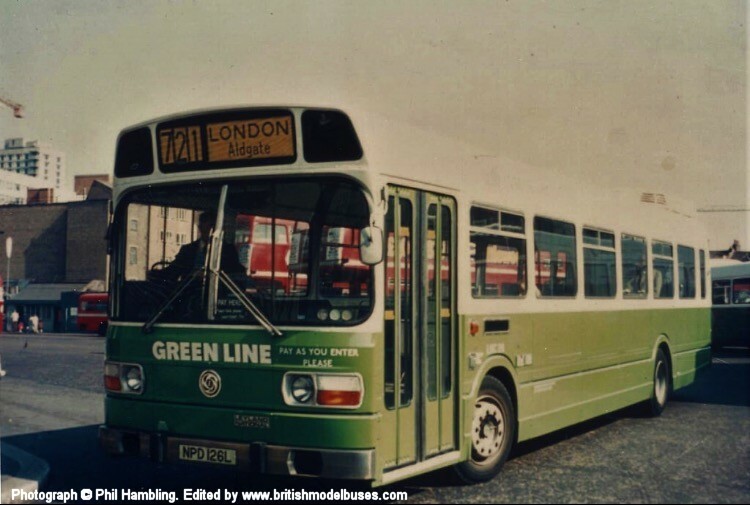 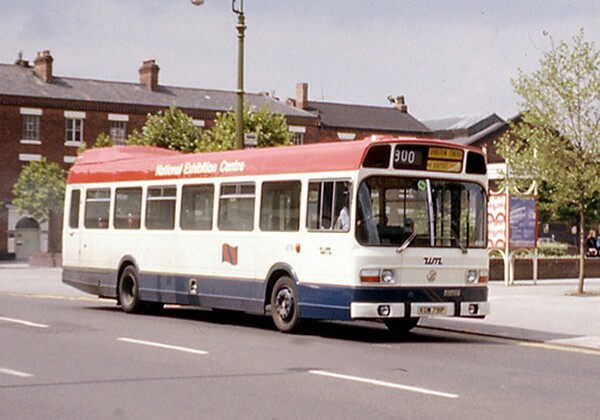 This photograph shows WMPTE Leyland National 4791 in "NEC" livery taken on 22 July 1976. 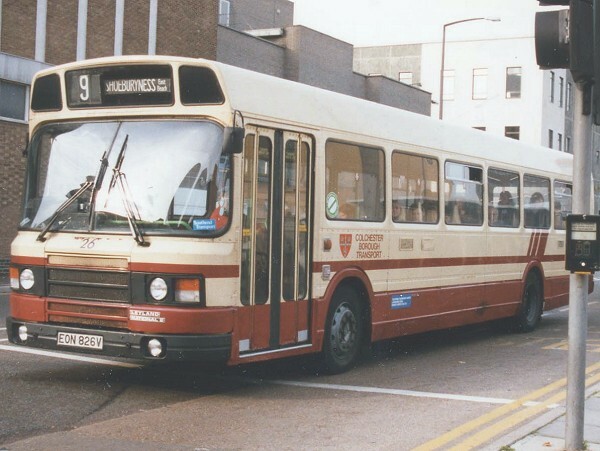 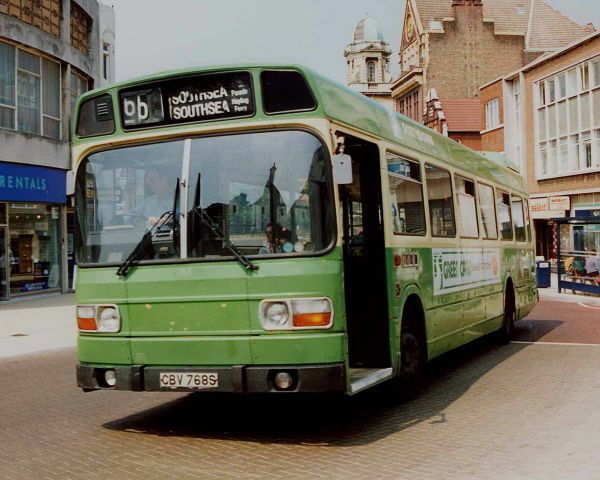 The bus is standing in Broad Street alongside what is now Centenary Square. 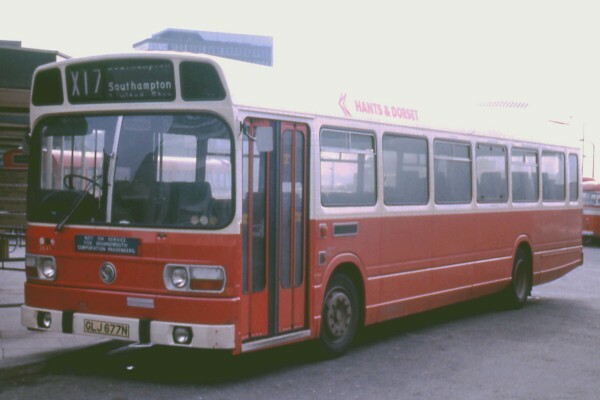 Behind is the area now occupied by Symphony Hall and the International Convention Centre.